2011 has been an excellent year for vampire fans; we have been treated with loads of fangtastic films, books, shows and much more. But we can do better. My hopes for 2012 are that we get even more vampire goodies to feast upon. I crave more! Which is what brings you my 2012 vampire wish list! I want some top quality and innovative vampire books in 2012. Many MANY vampire books were released this past year (over 6,000 according to Amazon) but very few of them were noteworthy novels. Overall, 2011 was big on quantity and low on quality. I would love to see a wide variety of new books, books that are fresh, inventive and well-written. My wish is for an awesome bestselling author to have a go at vampires. It’s not that newbies can’t write good books, of course they can, but there are some well-known authors that could really make some magic. More comic books would also be fantastic, I love me some comics. Not many (good) vampire films were released this year. 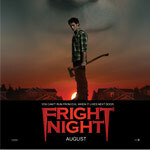 Sure, the Twilight fans got Breaking Dawn and horror fans got Fright Night. But in all honestly, as a whole, the year was disappointing. I would love for a big blockbuster film. We have the fourth Underworld flick to look forward to in 2012, as well as Abraham Lincoln: Vampire Hunter , but I need more than just that to be thoroughly pleased (I’m greedy). My totally unrealistic wish for 2012 is an epic vampire fantasy film. Like Lord of the Rings, but with vampires. Lots of action and lots of magic. That’s what I want. In 2011, True Blood fell back into my good graces. That third season in 2010 was god awful, but luckily the fourth season redeemed the show for me. My wish for 2012 is that season 5 is even better and that they don’t fall downhill again. I also hope that The Vampire Diaries, which has always been amazing, keeps the momentum going. It would be nice to see a new vampire show as well. I am addicted to both vampire shows and crime shows, so a combination of both would be rad. Like… CSI: Vampires …ehehehe. One of the biggest disappoints of 2011 was that there were NO big vampire games released. There were countless little PC and cell phone games, but that’s about it. 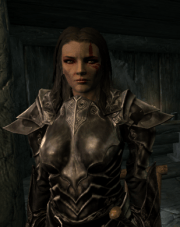 And yes, a few big games like Skyrim had vampires in them, but their roles were minor. I want a big, high-budget, console vampire game in 2012. Sadly, that is one wish that probably won’t come true. That about covers all my big 2012 vampire wishes. What are yours? What’s something you really want to see in 2012? Vote for your Fave Vampire Shows in TV.com Best of 2011! Hello, Dear Writer…I can answer two of your wishes. Great Vampire literature – Blood Junky (http://bitemereallyhard.com/?page_id=30) and its sequel Love in Vein (http://bitemereallyhard.com/?page_id=2120) and here’s our latest review, just came out this Dec. (http://www.livingdeadmedia.com/horror-books-and-fiction/290-loveinvein.html). And I’m working w/ some people in Albuquerque, NM to bring my vamp world to the screen as webisodes and a feature film. This will be an independent project not another uber-polished boring, unsatisfied nightmare. I’m right w/ ya on vampire films & books lately being disappointing, and have been working hard to deliver something fresh and original with real bite, deep alluring substance, great characters, and epic tales. My wish for 2012 is to get my book out, of course! The Twilight Saga left you with “happily ever after”. Would it really be “happily ever after” or would Bella and Edward be at each others’ throats after 100-200 years? The world’s full of dime-a-dozen paranormal romance novels. The time is overdue for a paranormal “anti-romance”. You think “War of the Roses” (the 1989 film) was mean and nasty? Imagine them as vampires, then add in some extramarital affairs for good measure. Right off the “bat”, I’ll admit that I’m not going to sell millions of copies of my book to dewey-eyed adolescents. My book is a cold-blooded, pitch-black twisted-humor stake through the heart of every cheap paranormal romance paperback cluttering up the store shelves. This is just the tip of the iceberg of what my novel has in store for you. I wish everyone on Vampires.com a happy 2012! I love your thought about how Edward & Bella would be toward each other after a few hundred years. Brilliant! Good Luck w/ your books! We authors need to reclaim the night after the atrocious Twilight run! Happy New Years Vampire.com visitors! I think a BIG reason so many of us here are writing our own vampire stories is because our thirst isn’t being quenched by what’s in the market. I’m still hooked on the romantic aspects of vampires and their seducing powers. The movie Fright Night had the most potential. This one came so close, but it lost points by going overboard on horror and making fun of vampires. A little less gross-out and a pinch more seriousness and I think it would have been a bigger hit. Still,I liked it enough to buy it. I agree with everything Moonlight wrote. Maybe 2012 will be the year our thirst is quenched! I personally cannot wait for Abraham Lincoln: Vampire Hunter. It is such a ridiculous concept, but I know it’s gonna be awesome. I am however not looking forward to 2013 with a Buffy the Vampire Slayer remake minus Joss Whedon!